For the last fews years, East Austin has seen a tremendous surge in popularity. It has become the city’s new art district, with studios and galleries popping up on every corner. Also the city’s foodie paradise, both up and coming and established chefs are opening up trendy restaurants. You’ll also see East Austin is chocked full of wine bars, cafes, food trucks, barbecue joints, taquerias and dive bars. The residential landscape now boasts shiny new condos, sleek and modern eco-homes and charming refurbished bungalows. As more people are drawn to East Austin for it’s fresh and modernistic exterior, let’s not forget what makes up East Austin’s true identity…its history. East Austin has always been a vibrant, blue-collar neighborhood. It was first populated and developed by African Americans in the late 1800’s, mainly due to segregation laws. Mexican-Americans then started calling East Austin home throughout the 1900’s. Even though you can still see and feel the African American and Mexican American influences in the area, this is slowly slipping away as the gentrification stranglehold continues to grow. Though many home buyers are definitely attracted to the shiny and new of East Austin, others are drawn to the area for the charm, culture and historic feel. 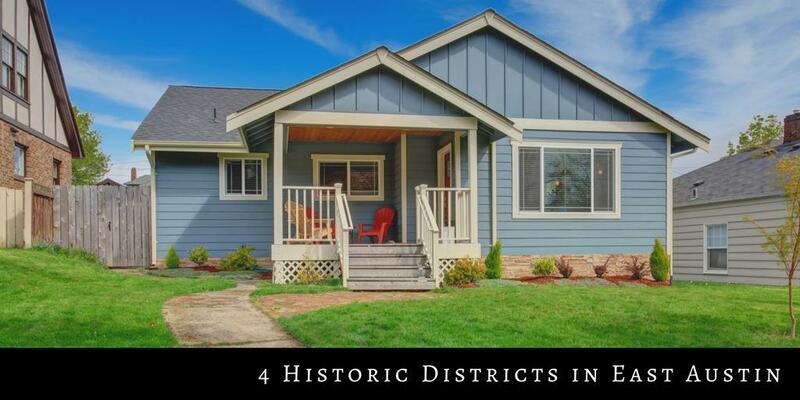 If you are in the latter category, here are 4 Historic Districts in East Austin to consider. The Willow-Spence Neighborhood is located just east of Downtown Austin. It is roughly bounded by East Cesar Chavez to the North, a few houses past San Marcos Street to the East, Spence Street to the South and Interstate 35 to the West. The area was first occupied by European immigrants and African Americans in the late 1800s and early 1900s. In the 1920’s and 1930’s, Mexican Americans moved into the area and developed mostly what you see today. The Willow-Spence neighborhood is unique. It is one of the few intact neighborhoods that still has its originally built residences, churches and commercial property management. The neighborhood has a mix of Bungalow/Craftsman style and late Victorian architecture. Although many homes have been renovated, they still follow a strict guideline of keeping their original architectural style. The Willow-Spence Neighborhood was placed on the National Register of Historic Places in 1985. Delwood Duplex is an area that is comprised of duplex style apartment buildings that were constructed in 1948. Built by a private developer to address the housing shortage after World War II, the Delwood Duplexes were the first mass produced development in Austin to accommodate returning servicemen and their families. Today, most of the duplexes are used as private, 2-story single family homes, though some of them are still used as duplexes. Although the exteriors of each are similar, residents have enhanced their homes with brightly colored paint and other modifications so they don’t look cookie cutter. Swedish Hill was developed back in 1870s after a large number of Swedish immigrants started to build homes close to their business in Downtown Austin. It first started with just a couple of homes and after a few years, more than sixty seven homes were built in the area. The original boundaries for Swedish Hill were Martin Luther King Jr. Boulevard (originally 19th Street) to the North, Waller Street to the East, 15th Street to the South and Red River Street to the West. Over the years, Swedish Hill has significantly reduced in size, as a portion of the neighborhood was lost with the construction of the Frank Erwin Center and the construction of Interstate 35. What you see in the neighborhood today is a mix of cute, craftsman style bungalows with a few large Victorian style homes. The Wilshire neighborhood is a broken up into 2 different sections: Wilshire Wood and Wilshire Park. This 110 single family home neighborhood was built post World War II for returning soldiers and their families. The neighborhood was built within the topography of the land and kept most of the tall trees that populated the area. These stone ranch homes have low pitched roofs, were painted neutral colors and built on large, tree shaded lots. Today, Wilshire is part of the popular Cherrywood community. The Wilshire section is still 85% true to its original historical integrity. East Austin is one of the most historic areas of Austin. From the migration of African Americans to the influx of Mexican Americans to post World War II development, East Austin tells a story like no other section of Austin. If you’re looking to buy in one of the 4 Historic Districts in East Austin, you will have to practice a little patience, as homes rarely come available. 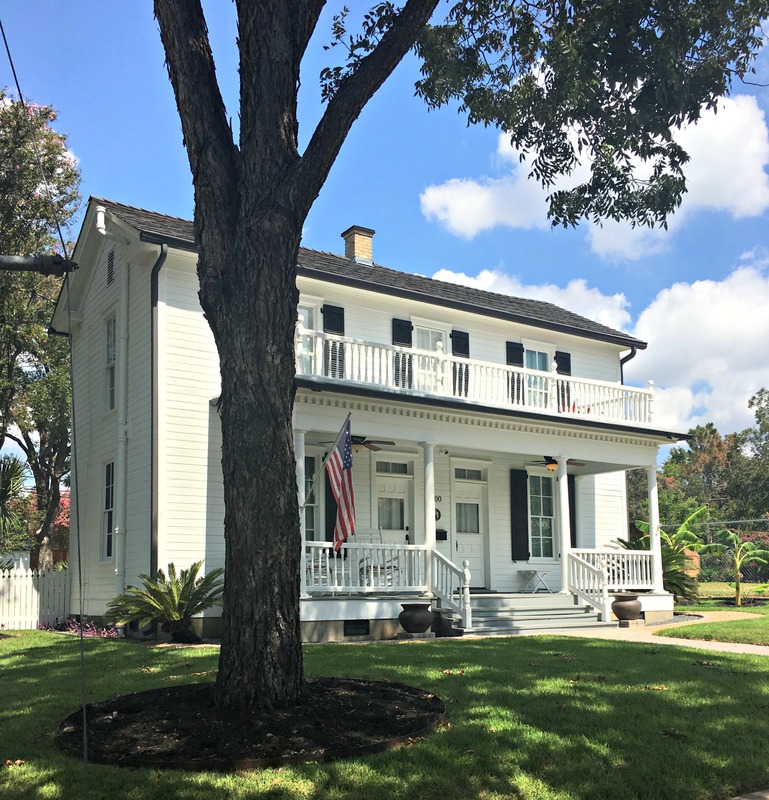 Want to be on our priority notification list of East Austin historic homes? Simply sign up with your name and email and we’ll put your on the list! Considering Buying a Home in One of the Historic Districts in East Austin? We know the Austin real estate well and can help you find a home in one of the 4 historic districts in East Austin. We are always monitoring the market and often find out about East Austin historic homes before they hit the market. For more info about our team of East Austin buyer specialists, check out our Austin Home Buyers section. Then, call us at (512) 827-8323, email us at info@11OaksRealty.com or fill out our Buyer Survey to get started with the home buying process. Together, we’ll come up with a game plan to find the best historic home for you.